AKRON, OHIO — This morning, Summit County Court of Common Pleas Judge Alison Breaux issued a ruling lifting the gag order that she had imposed on the parties to the putative class-action lawsuit alleging that Akron-based personal injury firm Kisling, Nestico, and Redick (“KNR”) and its owners, Alberto (“Rob”) Nestico and Robert Redick, engaged in various schemes to defraud their clients. The gag order was imposed at KNR’s request after the plaintiffs filed a detailed amended complaint, supported by KNR’s own documents, alleging that the firm intentionally deceived and defrauded its clients with kickback schemes involving a network of chiropractors and a now-defunct loan company called Liberty Capital Funding. The complaint further alleges that KNR has engaged in a scheme to defraud its clients by charging a fraudulent “investigation fee” for so-called “investigations” that are never performed, and for basic clerical services that are not legally chargeable to the firm’s clients. In seeking the gag order, KNR misrepresented Ohio law and asked the court to ignore well-established precedent protecting the public’s right of access to court proceedings, and the right of litigants to communicate about legal matters of public interest. While the Court initially granted the gag order on an emergency basis, due to KNR’s ultimately meritless arguments that the plaintiffs had shared information that was entitled to legal protection, the Court found that these arguments were not sufficient to justify continued restriction of the plaintiffs’ speech. 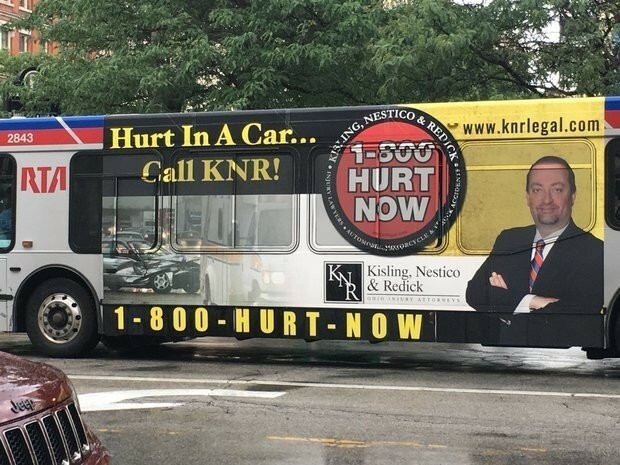 Anyone with information or concerns about alleged fraudulent conduct by KNR is encouraged to contact the plaintiffs’ attorneys by phone at 330.836.8533 or by email at info@pattakoslaw.com. The named plaintiffs, on behalf of the putative classes of former KNR clients, are represented by Peter Pattakos and Daniel Frech of the Pattakos Law Firm in Akron, Ohio, and Joshua Cohen, of Cohen, Rosenthal, and Kramer in Cleveland. A copy of the filed Second Amended Complaint is available here, and an informational press release is available here. Coverage of the case at Cleveland.com is available here, and here.